Led by international swimming coach Paul Remmonds, the Coaching Team will guide swimmers through skills, drills and practices that have helped to produce a World Champion, 3 Olympians, European and Commonwealth finalists. 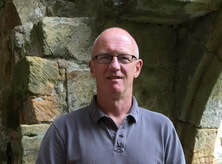 Paul has a wealth of experience having been involved in swimming as a competitor and coach for over 40 years. Paul is a specialist in the biomechanics of swimming. He leads a team, which includes strength and conditioning coaches and sports scientists from Liverpool John Moores University, specialising in nutrition and sports psychology. This ensures a ‘holistic’ approach to achieving potential and individual aspirations. ​Most recently he has been appointed the Senior Swimming Coach for the Invictus Games which will be held in The Hague, The Netherlands in 2020. ​I’m taking part in the Ride Across Britain (Land’s End to John O’Groats) from 7-15 September to raise money for Alzheimer’s Society. I’d really appreciate your support. The ride is 980miles over 9 days averaging 109 miles/day.